It’s a new day for children’s theater on the island as WCT ends one era and prepares for the next. 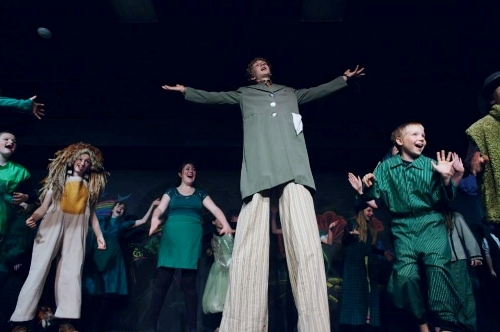 The 32-year-old Whidbey Children’s Theater of Langley gets a new lease on life through a partnership with the South Whidbey School District, and the chance to bring theater into the lives of even more children than the thousands it has already illuminated. The word on the street is that the move from the Porter Building to the 11,000 square foot Langley Middle School Auditorium theater and its offices is going smoothly for the WCT family. Volunteers have answered the call to “all hands on deck!” to help renovate, clean, paint, electrify and generally tidy up the old middle school stage for its next life with a new population of young thespians. The transition brings new hope to the financially-challenged company, thanks to open arms presented by the welcoming school district. But, inevitably, mixed-emotions are stirred up with the dust of a move, as the community says goodbye to the beloved Martha Murphy Mainstage, and the space that became painted again and again with important memories. As the founder and sole director for more than 25 years, it was bittersweet news for founding artistic director Martha Murphy, who recently moved off-island. “WCT will always be my ‘baby,” she said. 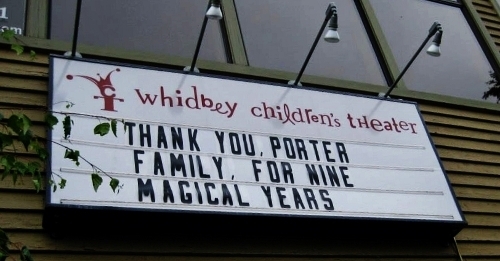 “It’s sad to say goodbye to the Porter Building. I do think that it’s going to be a win-win for the children’s theater and the school district, and I hope to come back and still direct for the theater,” Murphy added. WCT’s current interim executive director Cait Cassee also expressed mixed emotions in a letter to the friends of the theater company: “We have loved being in central Langley – under the friendly roof of our great patron, Jim Porter – and we have many mixed feelings about leaving this beloved location,” Cassee said. “This theater is filled with memories of smiles, laughter, paint, music, dancing, applause, hugs, costuming, games, and the instruction and guidance of many different directors and volunteers,” Cassee wrote. 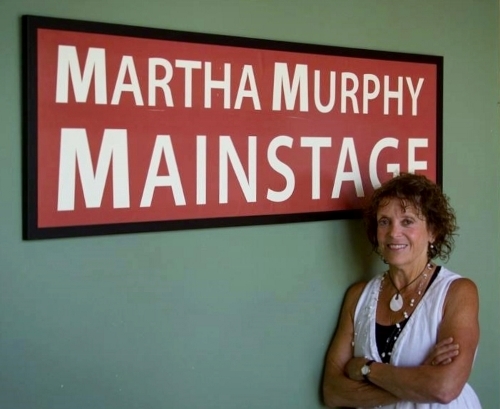 Indeed, Murphy, began the company 32 years ago out of a barn near her home in Langley. The company moved to the Porter Building in 2005, when the teen group at WCT, the Third Street Players, produced “The Breakfast Club” with a 45-seat house in the lobby in December 2004. “We hid the keys for the building in the rhododendron bush in front!” she added, emphasizing the all-in-the-family atmosphere that permeated the building that housed WCT. Juve’s daughter, Kate Olena Hodges, started her love affair with acting at WCT, along with many of the young adults who are still associated with the theater community on South Whidbey. In fact, Island Shakespeare Festival’s current production of “Much Ado About Nothing” includes several alumni of WCT, including Hodges, Damien Cortez, Matthew Bell, Gabe Harshman, Cameron Gray, Nathan Simpson, Cedar Stephans and Ahna Dunn-Wilder, who is also WCT’s outgoing office manager. Talk to any of the parents of a child who spent their elementary and high school years doing shows at WCT and you’ll get exclamation points behind every sentence describing the experience. They all speak about the richness of the theater’s effect on their children, and on them; an effect that some claim has saved the lives of kids who otherwise would have been misguided. “I began my association with WCT in 1996 when we moved to the island and Kate did plays with Martha,” Juve said, who lent her expert tailoring skills to the costuming department through the years. “I love the organization and really look forward to this next phase. I think the reach to kids otherwise oblivious to theater is very exciting, and has been a longtime dream of us all,” Juve said. We believe that the performing arts have a valuable place in our community and, that through participation in the arts, children will develop and build their self-confidence. We also believe that the teamwork, discipline and dedication required by the craft of theater teaches life skills that positively influence the lives of children. We further believe that we should endeavor to participate cooperatively with the larger community of arts groups whenever possible. Rose Woods continued the dream, and wrote and directed for the theater as its artistic director from 2010 to 2013, until she moved to focus full-time on her role as artistic director of Island Shakespeare Festival this year. A series of professionals, parents, board members and community members have helped keep WCT going, along with the Whidbey Island Arts Council, the Elizabeth George Foundation, and countless support from auctions and fundraisers all supplemented by the important hands-on volunteer work done by the community. Through it all, the company has maintained its most important practice of giving out scholarships, so that no child is ever turned away from participation in its productions or classes. Dunn-Wilder, who came back to WCT after college and has been working there as the office administrator, has been an inspirational link to the theater’s past for the current crop of up and coming thespians. “I was talking to the sweet young actors of “The Wizard of Oz” at our closing show,” Dunn-Wilder said. “Some were feeling sad to leave this home away from home, and I was sharing my experience of first coming into the Porter Building. I had the amazing opportunity to own this space, performing in the first two plays in this building. I told those young Oz actors how excited I am for them to have the same opportunity to make the new space their own. 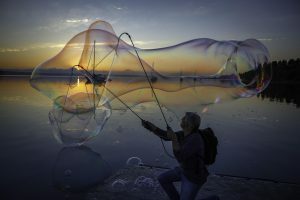 They have this chance to take the wonderful, rich history of Whidbey Children’s Theater and breathe their own life into it, and take it to a new place,” she said. A new breath of life does indeed await Whidbey Children’s Theater at its new space, with its built-in connection and convenient proximity to the middle school. Cassee said the mission of WCT remains the same, to provide a place for children between ages 6 and 18 to explore the world of performing arts, and in so doing, find and develop their unique selves in an environment that embraces the whole person and emphasizes support, collaboration and trust. Programming will continue with the traditional season of productions, beginning with “The Legend of Sleepy Hollow” auditioning Oct. 1, with performances in November. 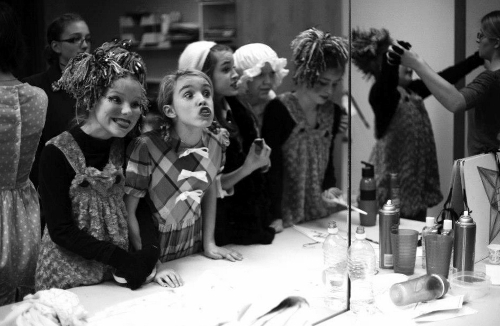 The company will continue to offer theater camps throughout the year, as well. The collaborations with the schools will be the biggest change for WCT. Development of ideas for new programs is already underway, including growing the technical theater program for those students who are not inclined to perform. Other ideas include bringing theater into the classrooms with professionals who are interested in teaching screenwriting, and exploring the “from concept to the stage” process. Being so close to the school also allows the potential for shop and art teachers to collaborate on set design and construction during season shows, as well as to work with the music department on musical theater pieces. In short, Cassee said, the possibilities of collaboration with the schools are endless. But, that doesn’t mean the company is golden. It still seeks support from its community. To make all these dreams a reality, the WCT Board of Directors has launched a mini-campaign titled “Building A Bridge to a New Stage” with a goal to raise $60,000. To find out more or to make a donation, visit the website here or Facebook Page here. 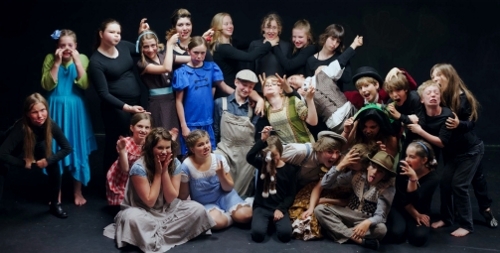 You can also mail your tax-deductible donation directly to: Whidbey Children’s Theater, PO Box 1493, Langley, WA 98260. For more details, call 360-221-8707. “I am proud of where we’ve been, where we are, and where we are going,” she said. Patricia Duff is a freelance writer, award-winning journalist and the editor of this magazine. Reach her at editor@whidbeylifemagazine.org.